Est. 1990, with offices in Sydney, Melbourne, Perth, Brisbane and Canberra, CTC has been the leading Australian provider of professional NAATI* certified translations for personal documents and multilingual government media publications, NFP’s, state and local councils. A certified quality assurance ISO9001 company, CTC provides in over 80 languages corporate translation and legal translation services. For UK and Ireland see more. 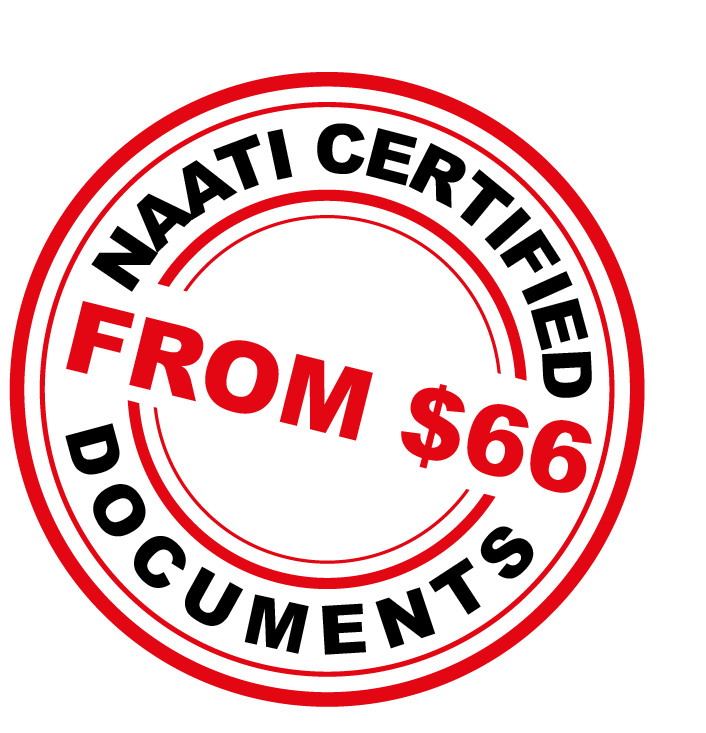 NAATI certified translations is commonly provided for French, German, Spanish, Italian, Greek, Arabic, Chinese, Japanese, Korean and Bahasa documents. For immediate costing and delivery times call or email your nearest local office in Australia: CTC Melbourne, CTC Sydney, CTC Canberra, CTC Brisbane, CTC Perth, CTC Adelaide and Auckland, NZ. You may email your scanned document, or make an appointment if you wish to bring your documents to our office. Delivery times of your translated certificate will be confirmed in writing and is usually emailed back within three working days or less, followed with the delivery of original stamped document, by standard or express post. Delivery times may vary. Urgent request may also be accommodated on a case by case basis. “NAATI” (the National Accreditation Authority for Translators and Interpreters) is governing body for the accreditation and testing of translators and interpreters in Australia and New Zealand. It is similar in function to the “CPA” certified practicing Accountants association. It is not a provider of translation services. For further information on NAATI please refer to the NAATI website.